Magnetic sweepers are used to avoid metal scrap from the floor. 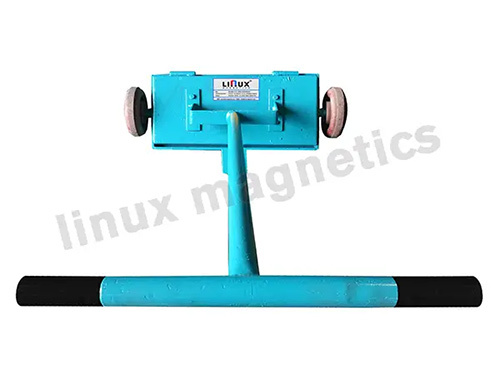 The magnetisable debris can be removed with quick and effective manner. Nails and other harmful debris can cause wound. It can be also harm the vehicles. 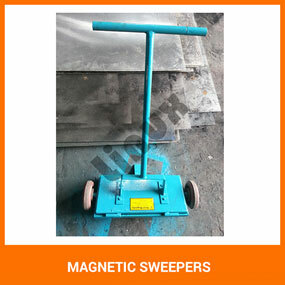 So in order to remove bulk debris, magnetic sweepers are used in related industries. it is used in many work-shops where these types of bits and pieces are to be removed in bulk. It is effectively used to remove nails, screws and other metal pieces to avoid damage to vehicles and also to prevent wounds to concern people. It works quickly and contains long lasting magnets.